Today I have another free printable for you! I love creating these for you guys! It’s also fun to get together with other talented bloggers so that you can find all of the BEST printables in one spot. 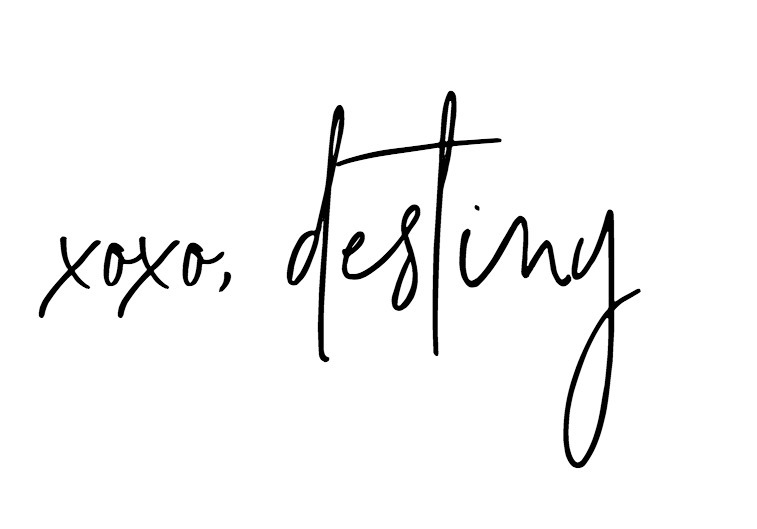 For this fall printable I’m giving you guys another Just Destiny Banner! You guys remember last year during Christmas I taught you guys how to download and print this HUGE banner at your local Walgreens? Well today I have one that is perfect for your fall mantel! 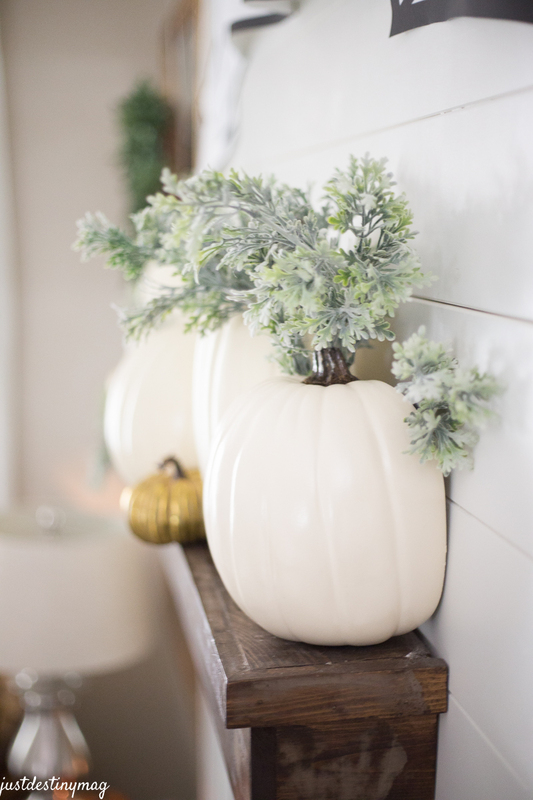 I loved using Michaels half pumpkins this year for the mantel. They are a little top heavy so I ended up using a heavy pillar candle on the other side so they can sit up straight. Click on the photo above or below and then save it to your computer. Then upload it to your Walgreen’s account. Read all about HOW TO PRINT YOUR BANNER here. Simple as that! Download or save the image to your computer. Upload the image it to your Walgreen’s account. Choose BANNER 2×6 same day pick up. Upload the picture onto the banner. Save and Order. Are you looking for another color? Leave me a comment below with your favorite color and I will give you guys a new one at the end of the week! Remember to use #justdestinybanners on Instagram if you print out your own! Take a little while to hop around and visit all my friends! You are going to love these printables ladies!!! 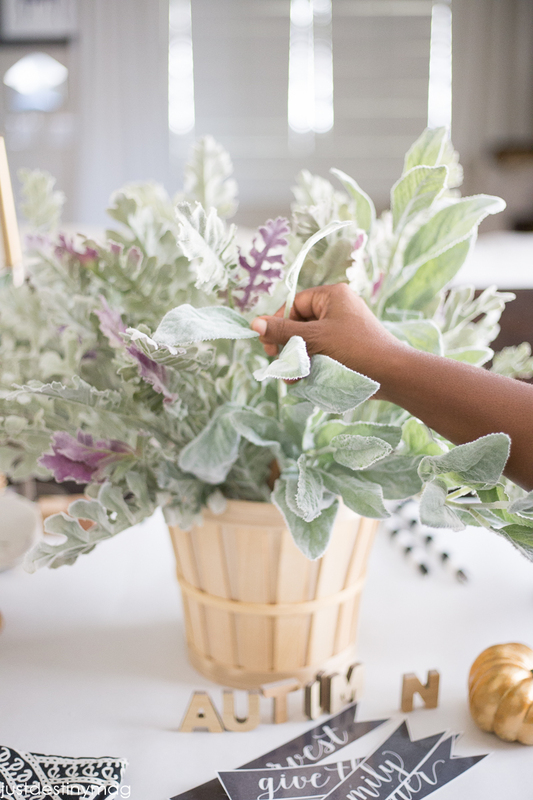 Thank you so much for sharing the printable and the directions! I’d love to see it in a different color too! I just don’t know which one? Black with white lettering? Anyway, thank you! Love this idea! 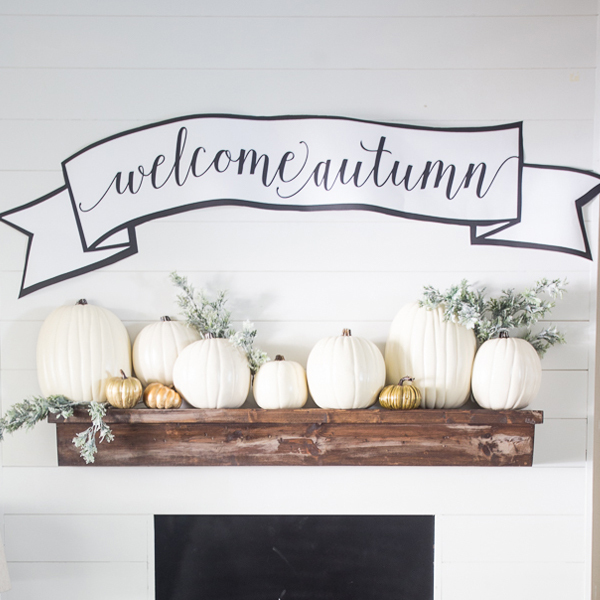 And your mantel is gorgeous… the look of all those pumpkins is such a statement-maker! Thank you so much for this amazing banner! I am having trouble printing it out at Walgreens. Under the 2×6 banner options, there is no option for a “make your own,” they are all templates that you can just add your photo and/or text. never mind! finally found it… had to page through all of the pages. I absolutely love this mantle Destiny! What a great use of the half pumpkins. So pretty! This is amazing! I remember the one you did last year. Just stunning. Love this Destiny! 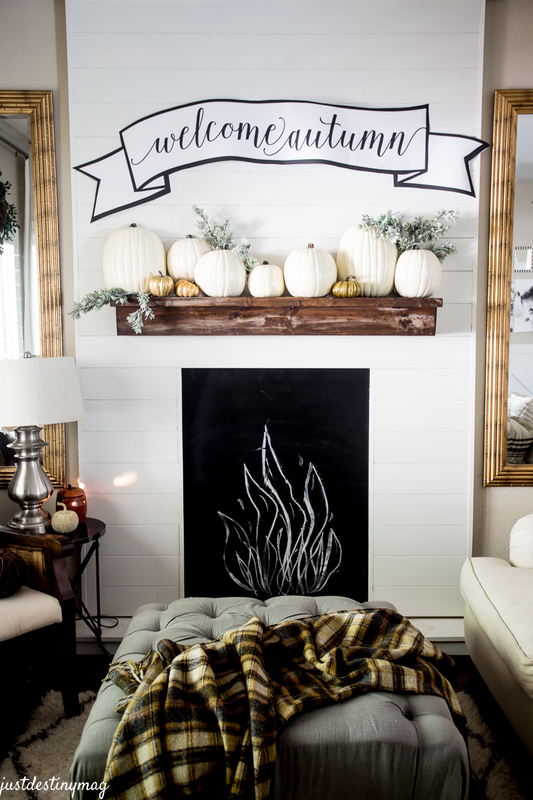 The printable is perfect for your gorgeous mantel! THis is so pretty! I love those pumpkins, might have to take a trip to Michael’s! Love Love Love this!!!!! did you use all half pumpkins? Never mind I just saw your instagram! So beautiful! Everything you put together is amazing! Would you consider making the banner in gold or copper? I absolutely adore this sign! I have pinned it and I plan to paint it on a wood board. Destiny, you are so insanely talented!! This is just beautiful! I absolutely LOVE your banner! And the half pumpkins are genius! My mantel is so thin, that these would be perfect! I’m definitely going to blatantly copy this mantle next year. So. Much. Love!! 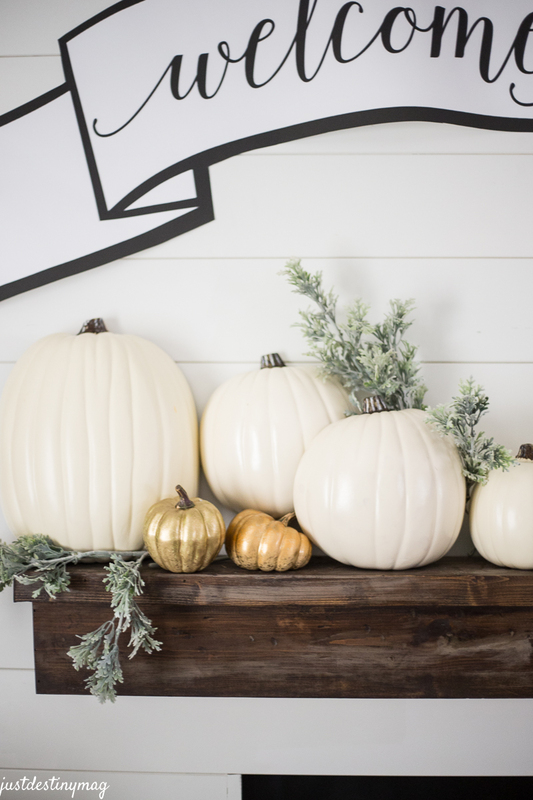 Are the gold pumpkins real? Did you paint them? And tell me about these greenery sprigs. So gorgeous. Can I have the low down on what those are. Thanks! 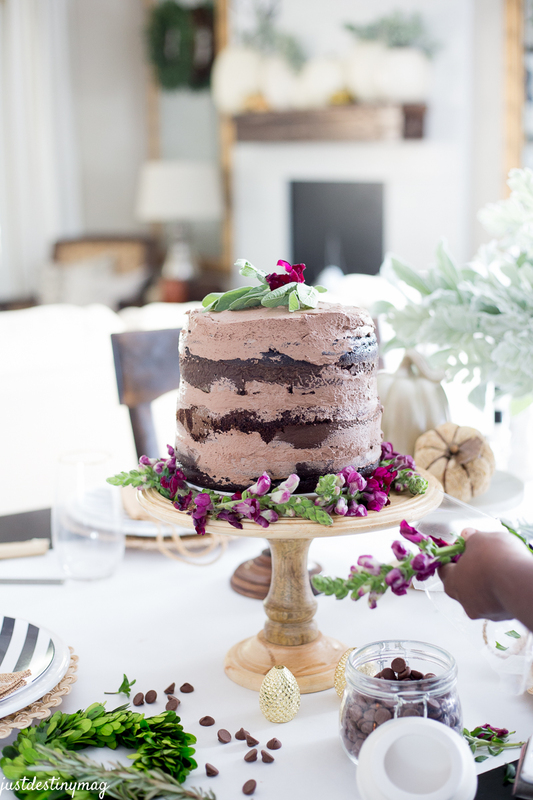 Ps, new to you blog and I’m in love. ??? I LOVE your mantel shelf. Where is it from? Or did you DIY it? I DIYed it years ago. I’m sure it’s somewhere on this blog lol!